INSOTUS is part of a network of teacher training and language institutes dedicated to providing high quality, highly practical TESOL/TEFL courses. INSOTUS proudly features nearly four decades of experience in the language industry. Our world-class on-site TEFL program was adapted by expert tutors to the current online version. The result is one of the best and most affordable online TEFL certification programs available. 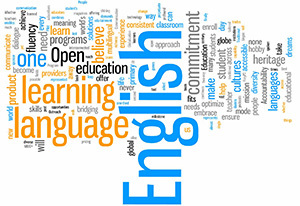 In the event that you want to further your studies after the online TESOL/TEFL course, we invite you to take our optional Teaching Practices or Teaching Business English Courses. Having these added values to your resume will really impress your employers! Our experience is demonstrated by first of all, the thorough 150-hour Online TESOL/TEFL course offered. Unlike many courses in the market the INSOTUS Online TESOL/TEFL course is comprehensive and it takes approximately 150 hours to complete, if you wish to go intensive (3 hours per day), it should take eight weeks to finish the course. Our Teacher Training offer goes well above practically any other online course to ensure you have a solid base for your career. Only highly skilled individual tutors participate in our program and all of them are hands-on. The INSOTUS online TESOL/TEFL certificate course has an array of discussion forums available to keep you involved. Our organization aims to educate and motivate our students. We want you to feel that you are in an interactive involved environment. Teachers who become certified through us are often hired before others in the industry because of INSOTUS's impeccable reputation. We welcome feedback in this ever-changing field of work and we want our students to come out of this course with not only competence, but also the confidence they need to be successful. Your assignments will be guided and graded through our qualified tutors. Some online courses are based heavily on automated correction. Our tutor support means you can ask your personal tutor and have your questions answered on a personal basis. The INSOTUS online TESOL/TEFL course can be used for teaching in any country and because we are so widely recognized we will help you search for a job once you complete the course in any country of preference with our direct employment contacts. Please contact us immediately with any questions that you may have, we will be happy to answer them for you.